It is a good idea to start up a program or presentation once your customer plugs-in the flash drive into a computer or a laptop. The simple functionality of displaying your brand or company information can be rewarding; however there is a significant downside. It can be interesting and appealing to see your presentation a couple of times; however seeing the presentation every time you plug-in the flash drive into the computer can become increasingly annoying. Do not forget that the start-up will occur each time the drive is plugged in. After a while your company or brand may not be associated with a great feeling, but with a complete nuisance and bother. Since the automatic start-up functionality can be easily abused by virus makers and malware, many operating systems include the functionality to deactivate the automatic start-up feature. Therefore, the program that you planned to start automatically on the customer’s computer will most likely not start. While it may seem as a good idea to start-up your presentation or a program automatically, in practice it is not worth the time. Even if the start-up functionality is set to work on your customer’s computer, the automatic nature of your content can be very annoying or bothersome instead of useful or entertaining. Can I read protect my USB flash drive? Read protecting the flash drive is useful for protecting the data or by limiting how the data is used on the drive. There are several methods that can be employed for the task. However, there is no one solution that can protect and limit data access at the same time in an easy to implement solution. Protecting the data is easy with an encrypted compressed data file. The files or directories are encrypted and then compressed using a popular ZIP compression format. When a user needs to access the data, he or she must know that password to access the file(s). This is a simple and effective way to limit the access to data. However, the drawback is also simple – once the password is known, nothing will prevent anyone who knows that password from accessing the data. Limiting data access based on frequency (the number of times someone can access the data) or authentication (proving passwords or some other access information) is trickier. In order to achieve protection of this level, the USB flash drive has to have an additional chipset that can uniquely identify the flash drive. Once the chipset is in place, a software package can be utilized to code the data loaded on the drive with the unique flash drive identification. The software package can be programmed to control data access through frequency, authentication or any other specified parameter. 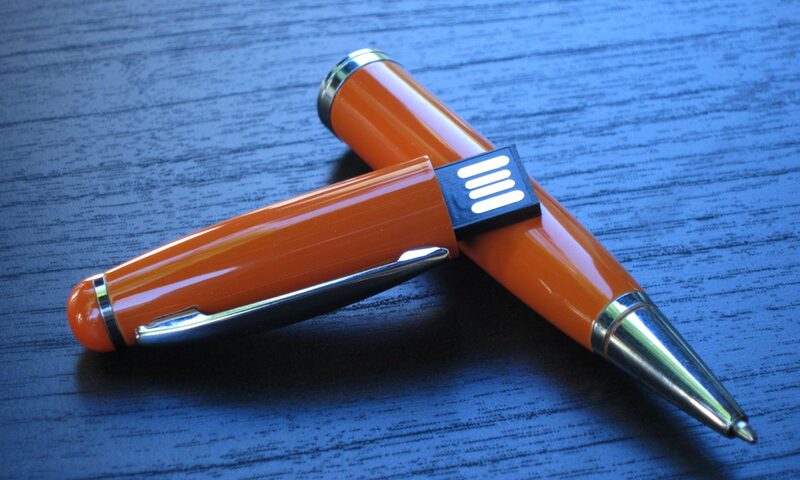 Since the data is coded with the unique identifier on the USB flash drive, the data moved to a computer, another flash drive, or any other media will be unreadable. The only way the data can be read is by matching the data to its host with a unique id. If you are looking for simple password protection of data for your flash drive, it is easily available. However, going above and beyond of a simple protection will involve specialized hardware and software.